It feels wonderful to be back home in the UK and especially in my comfy bed after traveling around France and Switzerland. But it wasn’t long before adventure came knocking once again and I found myself in the mythical land known as the New Forest. 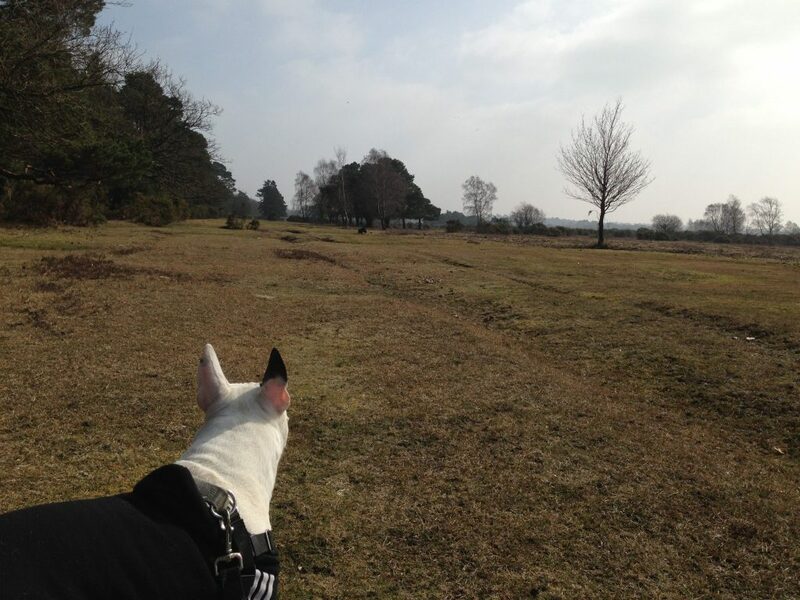 Once I set my paws down on the New Forest I realized that it didn’t seem very new at all. 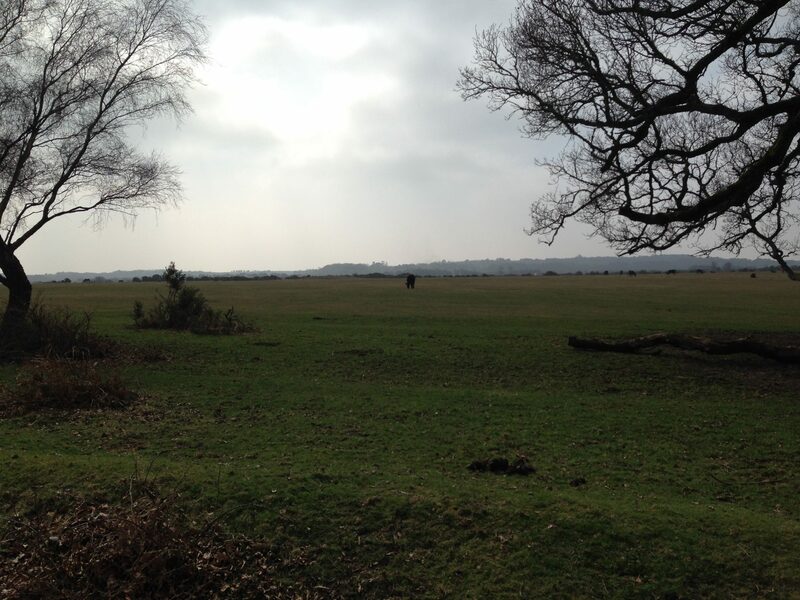 History says the New Forest got its name during the era of William the Conqueror in the 1000s. It’s a good thing I wasn’t around then as the whole forest would be littered with wild bull terriers rather than ponies, donkeys and cattle! My first ever visit to the New Forest took place in the tiny village of Brockenhurst in Southwest England in 2015. 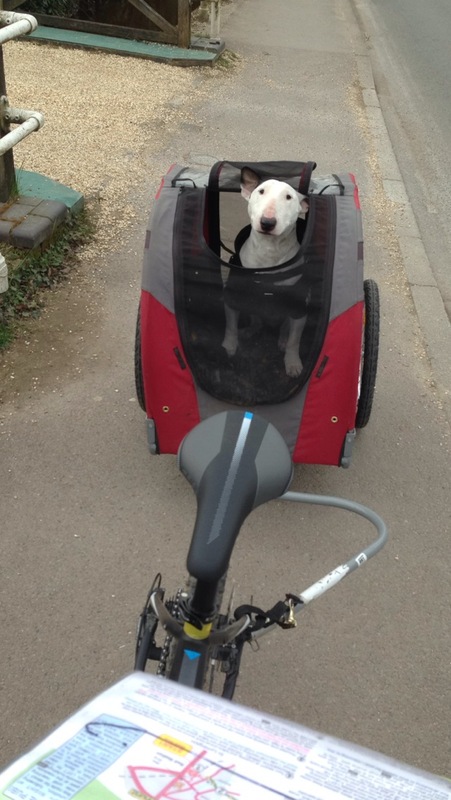 We hopped on a train from Bournemouth, where we lived at the time, and in just ten minutes we found ourselves in Brockenhurst where we quickly rented a bicycle as well as a buggy to attach to said bicycle. 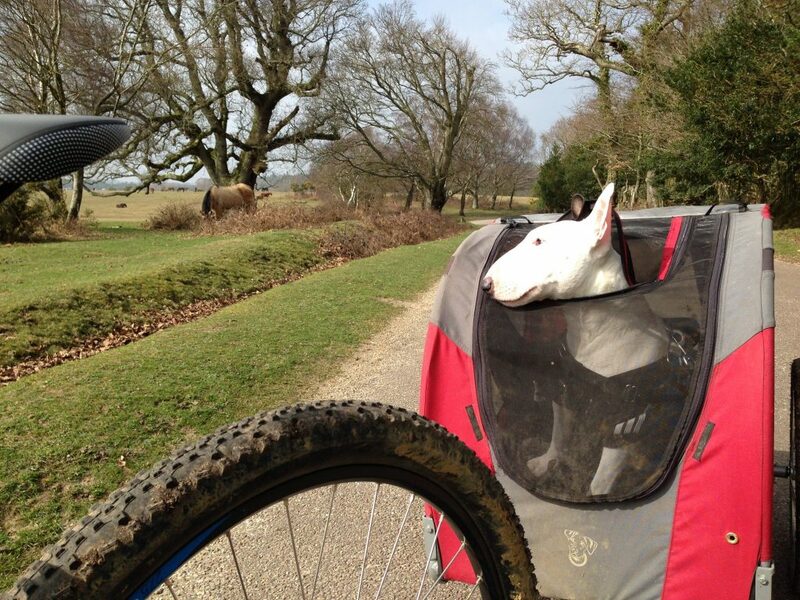 Ready to explore the New Forest in my buggy! 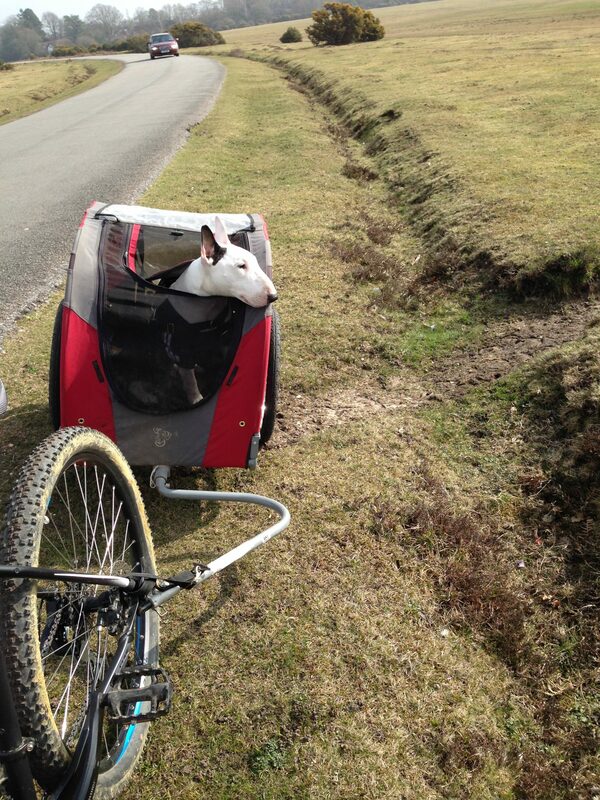 It was history in the making as I had never before ridden on a buggy! It was wonderful, I felt like a king being transported across this vast green forest. 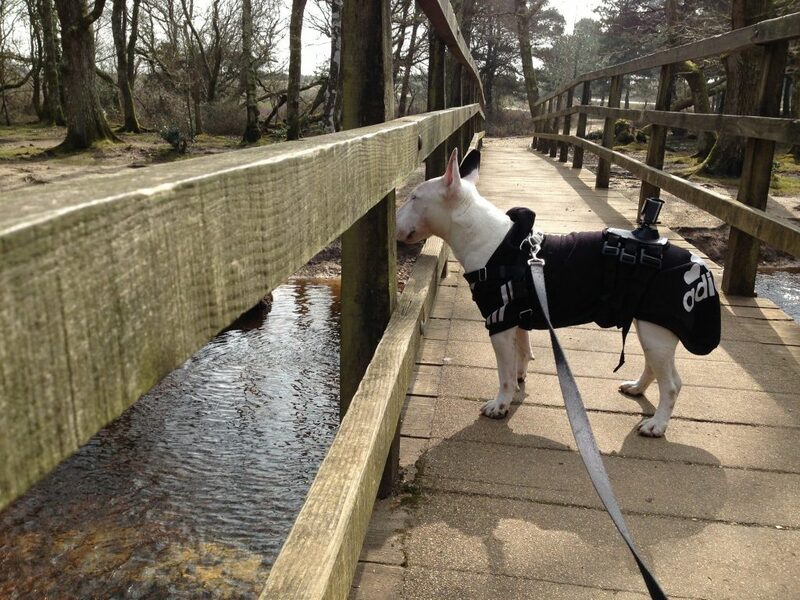 Looking at all the wild animals and wishing I could greet them! 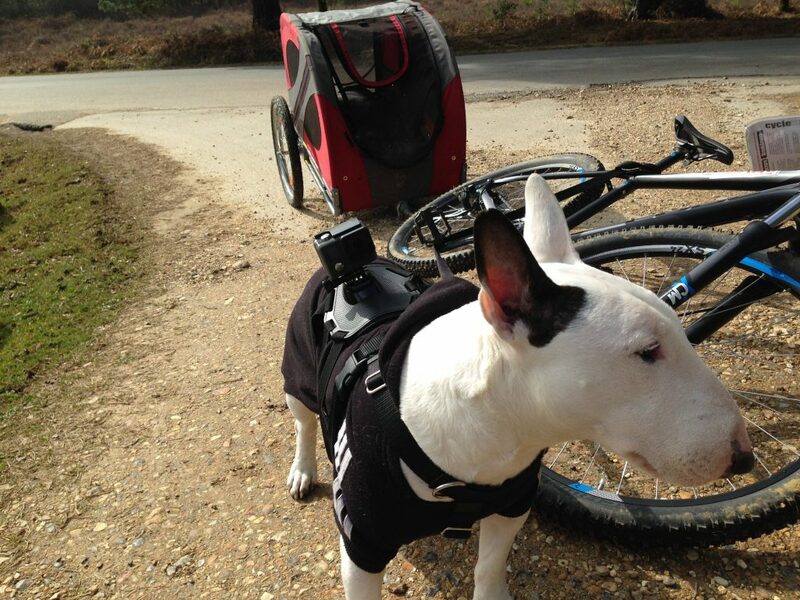 My human Danny wanted to capture the New Forest from my point of view so he outfitted me with a Go-Pro camera and mounted it on a harness. 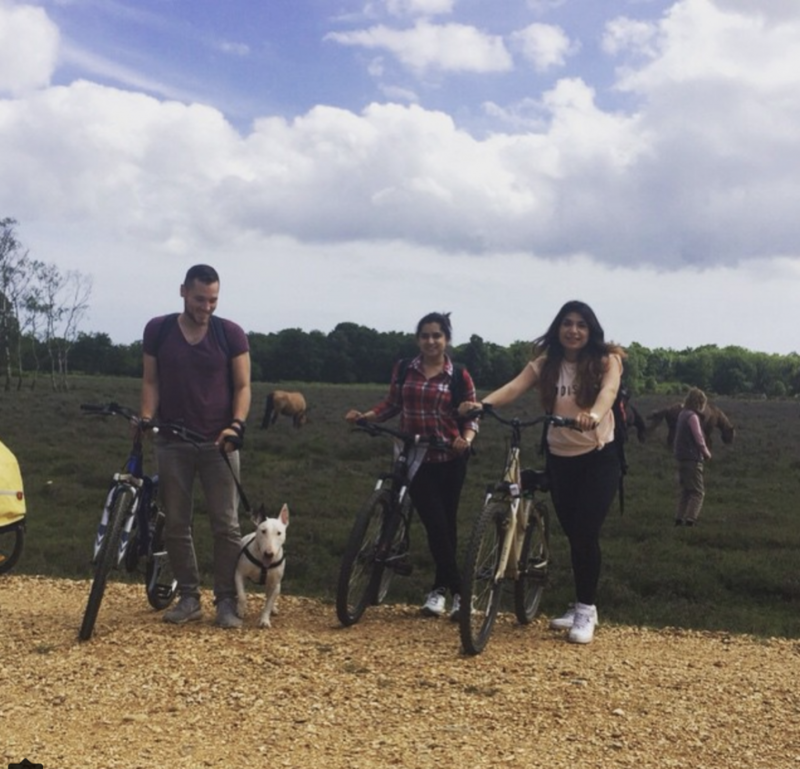 In just a few minutes, we cycled onto the trails of the national park known as the New Forest. This first time, the New Forest would be new to me. 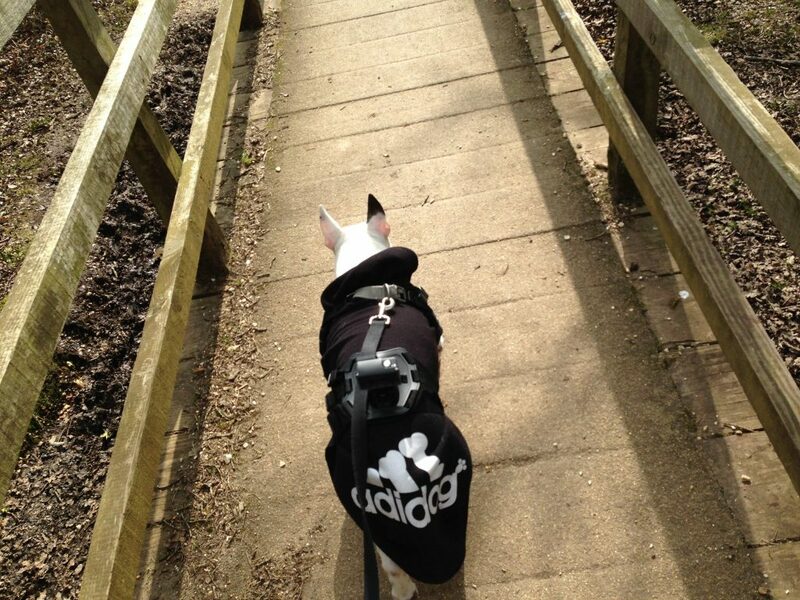 It was actually quite comfy in the buggy and I had all my treats and my water bottle in case I got thirsty! 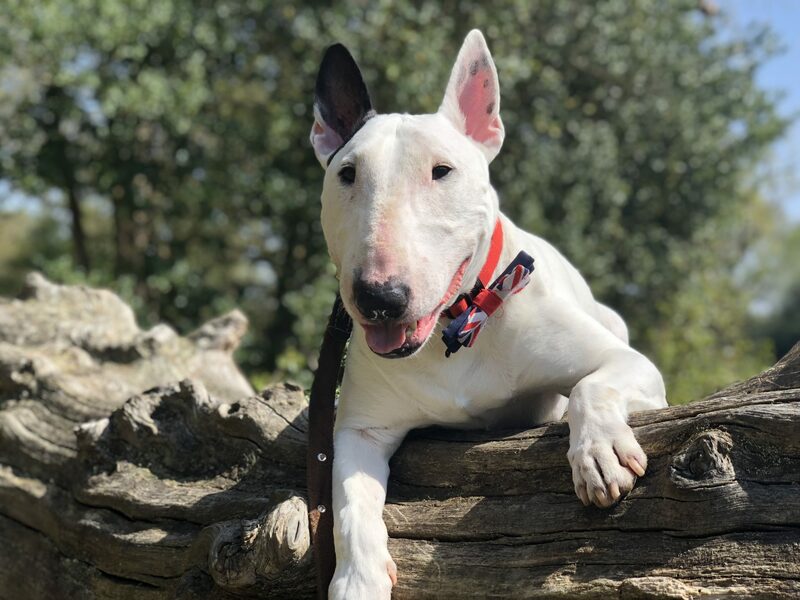 As you may know, England is generally quite cold and grey for most of the year and during our trip in Brockenhurst, it was no different. 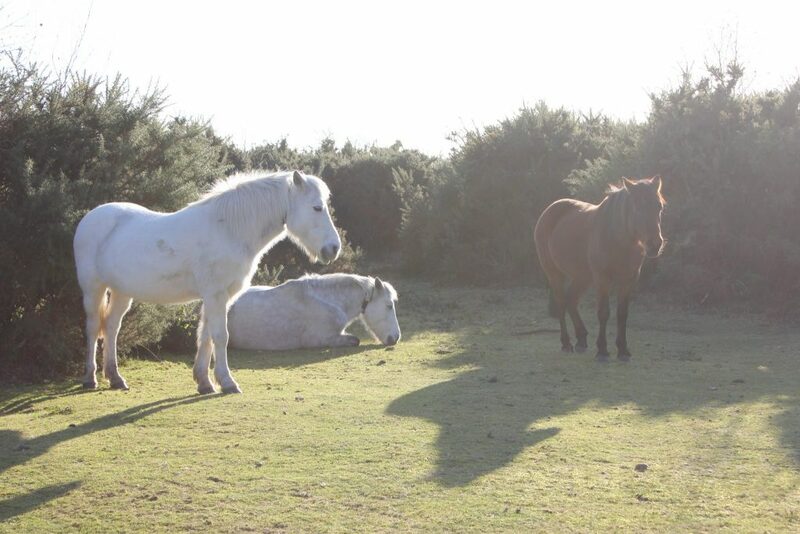 When I first saw one of the New Forest’s massive horses, I may or may not have peed in my hoodie. Those things were enormous and I’m normally used to being the biggest son of a gun on four legs. So I was a bit unsure about these creatures. Danny cycled quite a lot and for a time I grew bored and wanted to get out and run so that’s what I did! It didn’t quite hit me how vast and green everything was until we cycled further into the forest. There were large green and brown fields as far as the eye could see! Of course there was also horse poop everywhere so I had to be careful where I stepped. 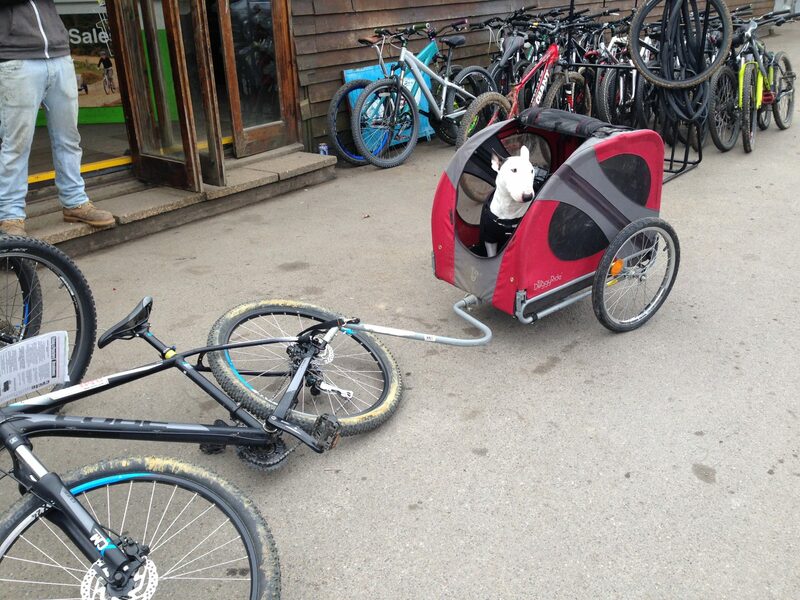 Danny cycled over his fair share of the massive horse poops. They’re not that much bigger are they? Thus my entire day at the New Forest was spent running along the trails and then after I got tired I simply jumped on the buggy where Danny peddled and I watched the New Forest in awe all in the comfort of my buggy. I was truly the King of the New Forest. 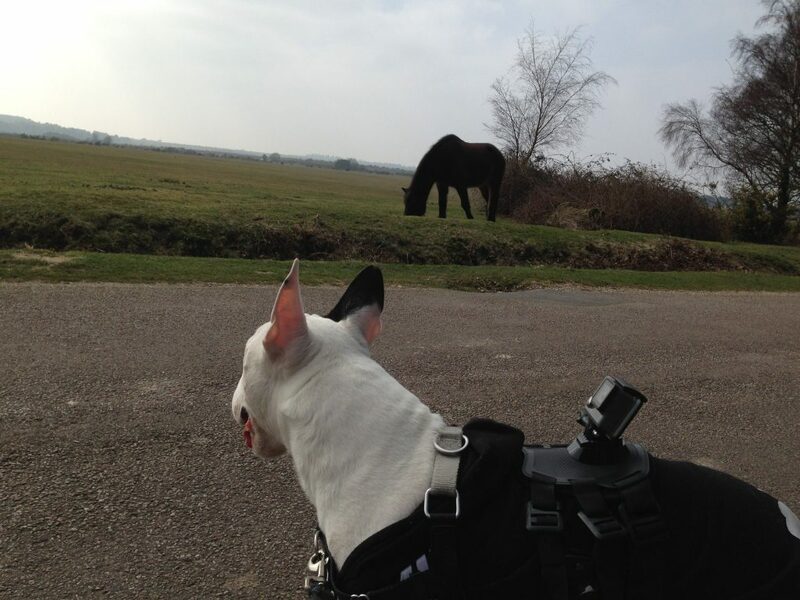 I think I see more ponies! Along the way we saw countless more horses, donkeys, ponies and cattle. They all traveled on the road just like cars do. I truly felt as I was transported back in time. After a day spent in the New Forest we returned to the village of Brockenhurst where we found a little cafe and ordered some delicious waffles. But as you’ll find out if you ever visit, the wild animals are truly everywhere, even in the villages. We had a few visitors try to beg for food, but they could never compete with me. I am a master food beggar and I always get my food. 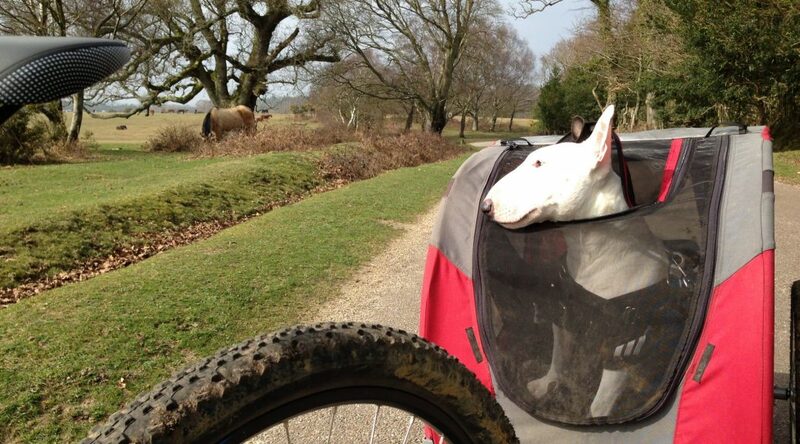 We loved the New Forest so much that we visited countless times. The second time around, I went without a buggy and Danny told me it was now my turn to do all the work and so I ended up dragging him along instead of the other way around. I’m sure he felt like a king! Check out my strength as I pulled Danny! 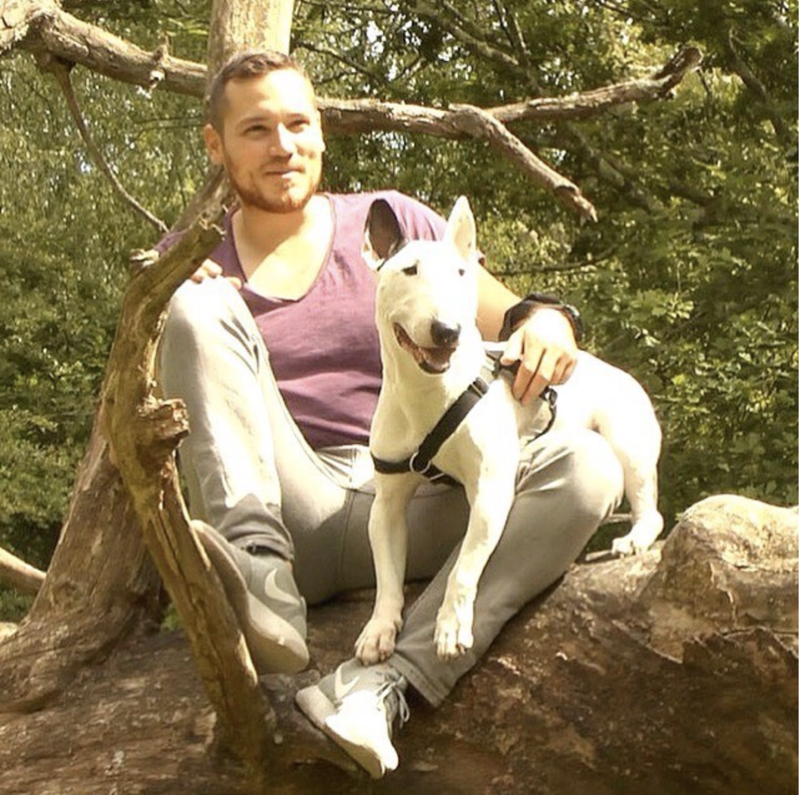 Me and Danny lording over the forest like kings! More of the horses. If you look closely, you’ll see all their horse poop on the grass! 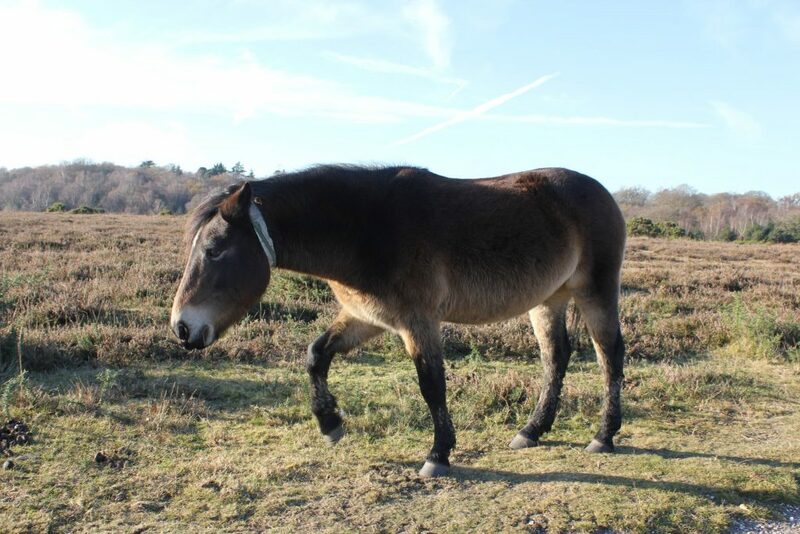 Next time I will take you guys to Burley in the New Forest to show you another side of the amazing national park. Until next time my friends! Cheers!